Kyoto is Japan's leading cultural capital with a long history. The city has many shrines and temples with more than 10 World Heritage Sites. Kyoto is well known for keeping the traditions of Japan. You can also enjoy beautiful seasonal changes unique to Japan, which attract many tourists whatever the season. Spring in Kyoto pleases you with vivid natural colors. Cherry blossom season runs from the end of March through the beginning of April. You can enjoy the beautiful cherry blossom along the Kamo River, as well as in the Kyoto Imperial Palace, the Kiyomizu Temple and many other places. In summer, various festivals are held in Kyoto. 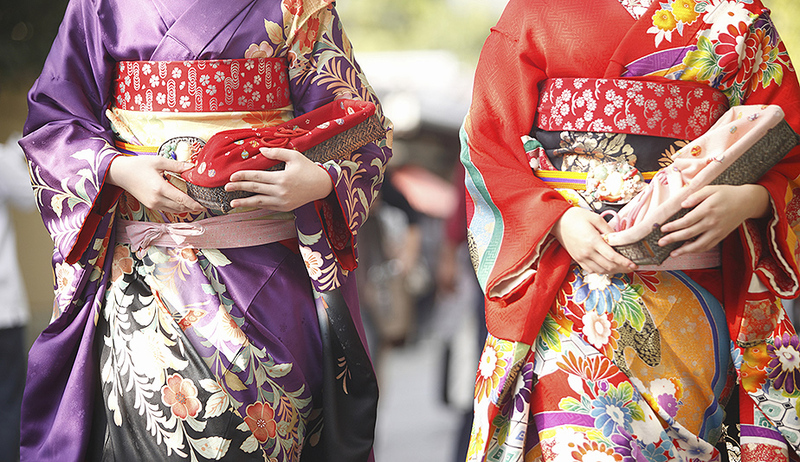 The most famous Gion Festival is well known as one of Japan's three major festivals. This traditional event has been performed for at least 1100 years. 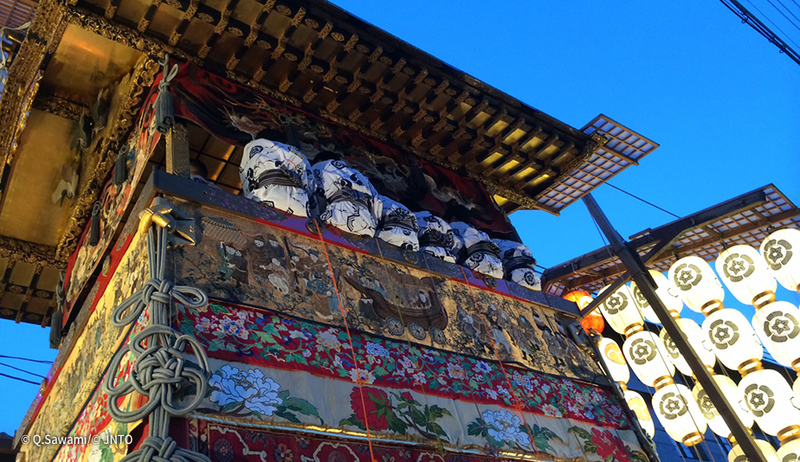 The Yamaboko Junko (parade of large, decorated floats) through Kyoto city is spectacular. Autumn is the season when the leaves of the trees in Kyoto begin to change color. 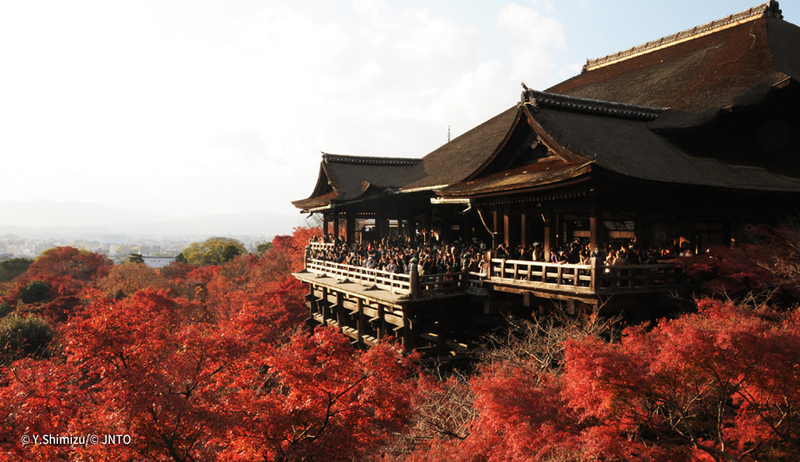 Brilliantly colored leaves are turning Kyoto into a beautiful red town, and enriching people's hearts. Eikando Temple and Tofukuji Temple are especially famous places to see the autumn colors, and are crowded with tourists every year. Kyoto has a different charm in winter. The city and its cultural assets covered with snow make Kyoto very beautiful and, when lit up at night, give you a fantastic, magical ambience. 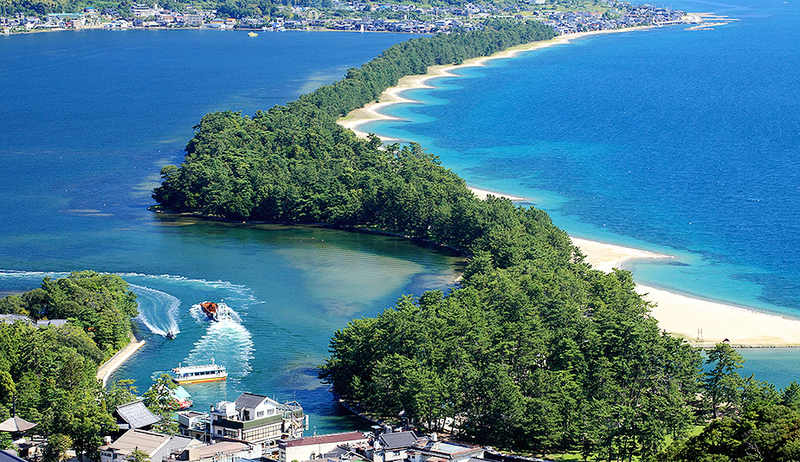 Amanohashidate is scenic view located in the northern part of Kyoto prefecture. This beautiful natural landscape is one of Japan's three most scenic views, and is another popular tourist destination near to Kyoto. 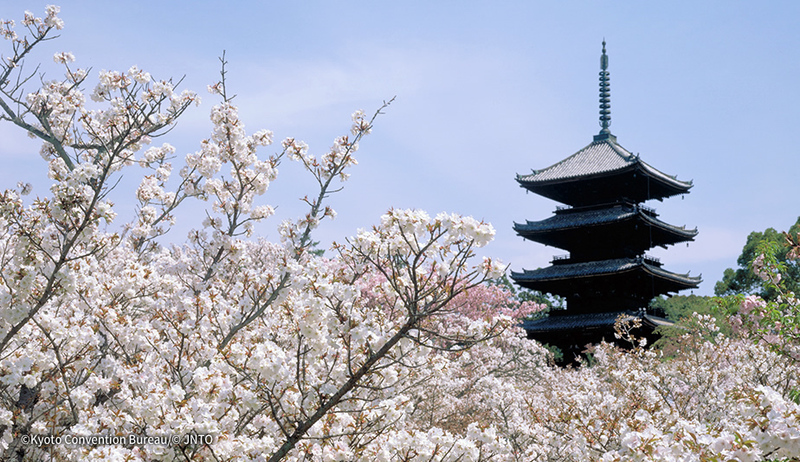 In Kyoto, you can experience the traditional and beautiful culture of Japan in many places. While you are exploring Kyoto, you will find the traditional Japan here and there. Handicrafts exhibited at the shop, streets which respect the traditional cityscape, and Maiko walking around the Gion area. 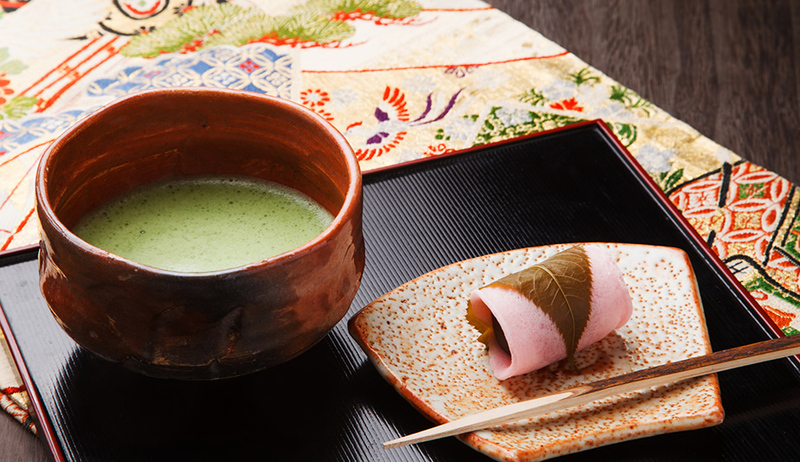 A sophisticated Japanese food culture is rooted in Kyoto. 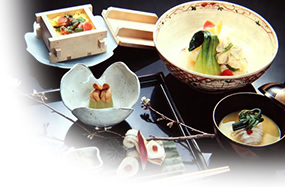 Enjoy the elegant food culture of Kyoto such as Kyo kaiseki cuisine (Kyoto's traditional local cuisine), vegetarian cuisine, Japanese sweets and tea. Kyoto is an old city maintaining the traditional Japanese culture. If you stay in Kyoto, we recommend staying in a ryokan where you can experience a very Japanese lifestyle. Located between Shijo Street and Nishiki market which is known as the kitchen of Kyoto. The Ryokan now has modern facilities with a traditional Kyoto flavor. 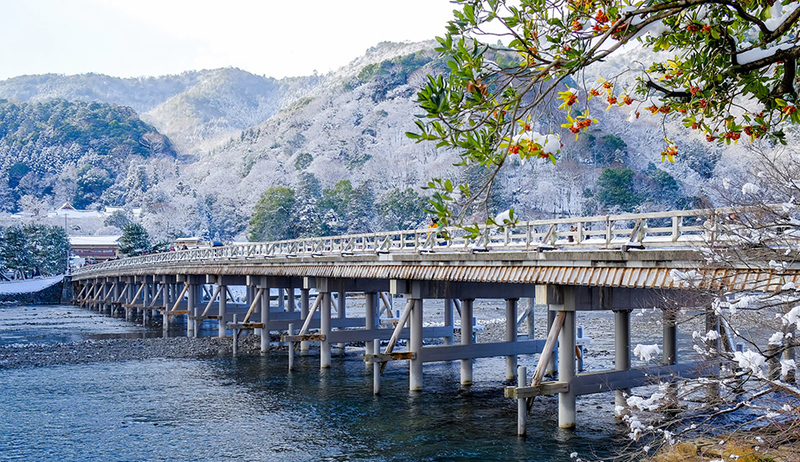 Seasonally changing nature view of Arashiyama can be enjoyed. This is the ryokan with a hot-spring which is located in the foot of a bridge called Arashiyama Togetsu-kyo. Nestled near the south gate of Yasaka Jinja-Temple which is famous of the Gion festival. This is Japanese style ryokan which has atmosphere of Ancient Kyoto. Please enjoy cuisine of Kyoto that was made with great effort. 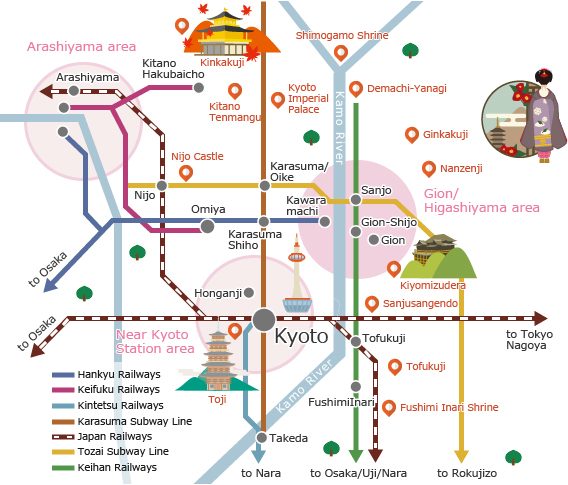 Located in a quiet area near famous sightseeing places such as Kiyomizu-dera Temple and Yasaka Shrine. Standing in front of the Karasuma Chuo(Central) exit of Kyoto station, as a 131m high landmark tower. Modern Japanese style hotel, enjoying the atmosphere of Kyoto in the hotel. Located at Kawaramachi Rokkaku in the center of Kyoto. 7 minutes by taxi from Kyoto station. Walking distance to Shijo-kawaramchi, Kiyomizu-dera temple, Gion.